English poet, born at Montgomery Castle on the 3rd of April 1593. He was the fifth son of Sir Richard Herbert and a brother of Lord Herbert of Cherbury. His mother, Lady Magdalen Herbert, a woman of great good sense and sweetness of character, and a friend of John Donne, exercised great influence over her son. Educated privately until 1605, he was then sent to Westminster School, and in 1609 he became a scholar of Trinity College, Cambridge, where he was made B.A. in 1613, M.A. and major fellow of the college in 1616. In 1618 he became Reader in Rhetoric, and in 1619 orator for the university. In this capacity he was several times brought into contact with King James I. From Cambridge he wrote some Latin satiric verses in defense of the universities and the English Church against Andrew Melville, a Scottish Presbyterian minister. He numbered among his friends John Donne, Sir Henry Wotton, Izaak Walton, Bishop Andrewes and Francis Bacon, who dedicated to him his translation of the Psalms. Walton tells us that "the love of a court conversation, mixed with a laudable ambition to be something more than he was, drew him often from Cambridge to attend the king wheresoever the court was", and James I gave him in 1623 the sinecure lay rectory of Whitford, Flintshire, worth £120 a year. The death of his patrons, the Duke of Richmond and the Marquess of Hamilton, and of King James put an end to his hopes of political preferment; moreover he probably distrusted the conduct of affairs under the new reign. Largely influenced by his mother, he decided to take holy orders, and in July 1626 he was appointed prebendary of Layton Ecciesia (Leighton Bromswold), Huntingdon. Here he was within two miles of Little Gidding, and came under the influence of Nicholas Ferrar. It was at Ferrar's suggestion that he undertook to rebuild the church at Layton, an undertaking carried through by his own gifts and the generosity of his friends. There is little doubt that the close friendship with Ferrar had a large share in Herbert's adoption of the religious life. In 1630 King Charles I, at the instance of the Earl of Pembroke, whose kinsman Herbert was, presented him to the living of Fugglestone with Bemerton, near Salisbury, and he was ordained priest in September. A year before, after three days acquaintance, he had married Jane Danvers, whose father had been set on the marriage for a long time. He had often spoken of his daughter Jane to Herbert, and "so much commended Mr. Herbert to her, that Jane became so much a Platonic as to fall in love with Mr. Herbert unseen." The story of the poet's life at Bemerton, as told by Walton, is one of the most exquisite pictures in literary biography. He devoted much time to explaining the meaning of the various parts of the Prayer-Book, and held services twice every day, at which many of the parishioners attended, and some "let their plough rest when Mr. Herbert's saints-bell rung to prayers, that they might also offer their devotions to God with him." Next to Christianity itself he loved the English Church. He was passionately fond of music, and his own hymns were written to the accompaniment of his lute or viol. He usually walked twice a week to attend the cathedral at Salisbury, and before returning home, would "sing and play his part" at a meeting of music lovers. Walton illustrates Herbert's kindness to the poor by many touching anecdotes, but he had not been three years in Bemerton when he succumbed to consumption. He was buried beneath the altar of his church on the 3rd of March 1633. None of Herbert's English poems was published during his lifetime. On his deathbed he gave to Nicholas Ferrar a manuscript with the title The Temple: Sacred Poems and Private Ejaculations. This was published at Cambridge, apparently for private circulation, almost immediately after Herbert's death, and a second imprint followed in the same year. On the title page of both is the quotation "In his Temple doth every man speak of his honor." The Temple is a collection of religious poems connected by unity of sentiment and inspiration. Herbert tried to interpret his own devout meditations by applying images of all kinds to the ritual and beliefs of the Church. Nothing in his own church at Bemerton was too commonplace to serve as a starting point for the epigrammatic expression of his piety. The church key reminds him that "it is my sin that locks his handes", and the stones of the floor are patience and humility, while the cement that binds them together is love and charity. The chief faults of the book are obscurity, verbal conceits and a forced ingenuity which shows itself in grotesque puns, odd metres and occasional want of taste. But the quaint beauty of Herbert's style and its musical quality give The Temple a high place. "The Church Porch", "The Agony", "Sin", "Sunday", "Virtue", "Man", "The British Church", "The Quip", "The Collar", "The Pulley", "The Flower", "Aaron" and "The Elixir" are among the best known of these poems. Herbert and Keble are the poets of Anglican theology. No book is fuller of devotion to the Church of England than The Temple, and no poems in our language exhibit more of the spirit of true Christianity. 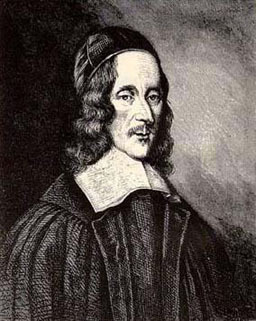 Every page is marked by transparent sincerity, and reflects the beautiful character of holy George Herbert.